Gothenburg took the lead after just four minutes, an unlucky Jesper Nyholm put the ball in his own net. After 13 minutes the teams was even due to a beautiful free kick from Amin Affane. IFK had the greatest chances but good goalkeeping from Stamatopoulos denied them a leading goal. After the break Gothenburg continued to have possesion of the ball but they had to wait until four minutes from the end before the deserved winner came, and what a beautiful goal it was. Tobias Hysen hit the ball perfectly from outside the box, a goal that really summed up a great tournament and a deserved victory for IFK Gothenburg. 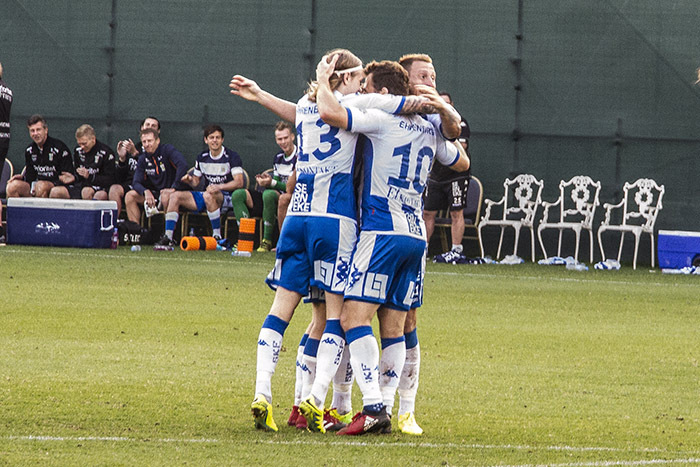 Molde won the tournament at the same point and the same goal score as IFK, but they scored the most goals in one match and therefor turned out as winners of The Dubai International Cup 2017. Tobias Hysen: It was a great winner. Nils-Eric Johansson: We have had a perfect stay here in Dubai. Jorgen Lennartsson: It couldn’t have been better.